This was my January plan – pull together the BEST comfort foods for winter in a couple round-up posts. A few weeks ago, I shared this collection of 7 Simple Soup Recipes to Keep You Warm & Cozy. Today I’m sharing 25 Best Crock-Pot Chicken Recipes. A few of mine, and a slew of blogger friends’ recipes! I must admit, ever since we got an Instant Pot, we use it as much or more than our slow-cooker. I still LOVE my slow-cooker, but we do reach for the Instant Pot quite a lot. Many of these would be just as easy to make in the Instant Pot though, you’d just reduce the cooking time. 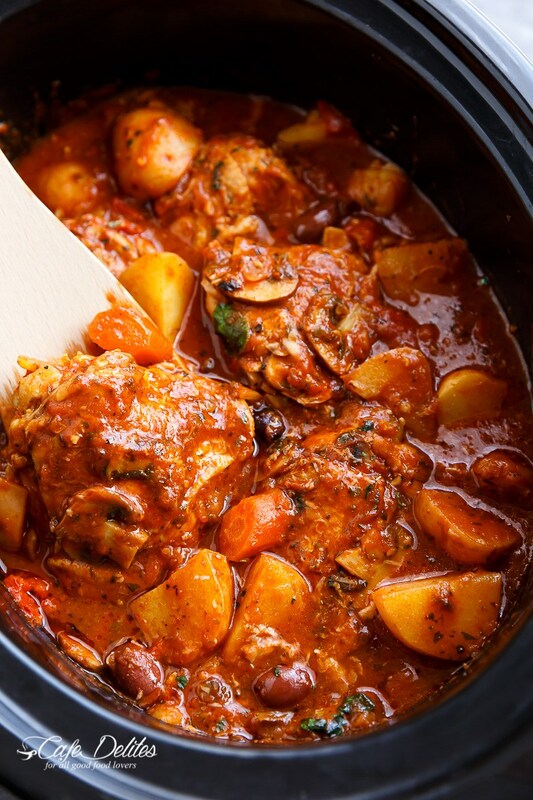 That’s what we do… make slow-cooker recipes in the Instant Pot, but it takes a fraction. 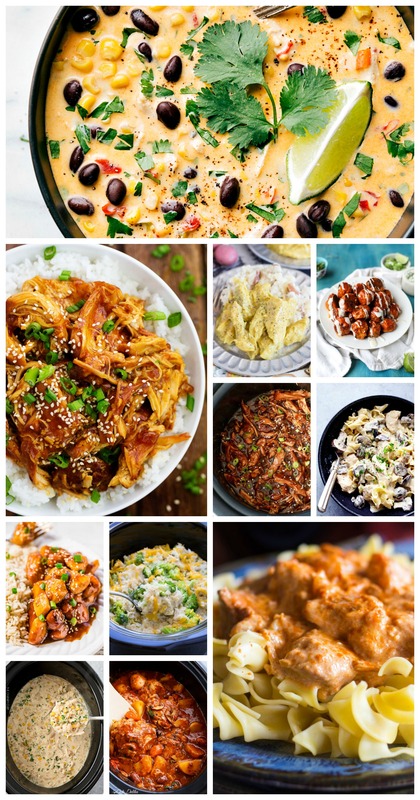 Either way, this collection of 25 Best Crock-Pot Chicken Recipes is full of variety. Many types of cuisines, and many types of dishes. 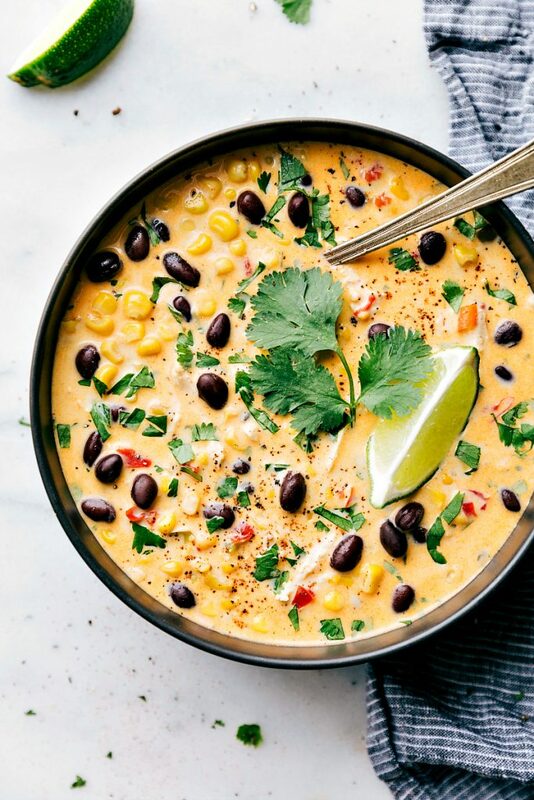 Soups, casseroles, and everything in-between. Asian fare, classic American dishes, and some in-betweeners. They’re all hearty, filling, and soul-warming. This list is what will get you through the next few months of winter! 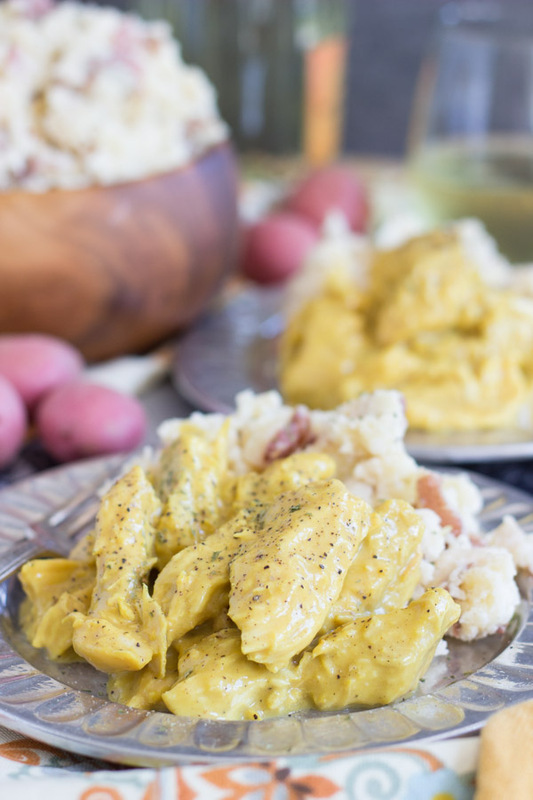 Slow-Cooker Honey Mustard Chicken: One of my most frequently made slow-cooker recipes. Only requires a few ingredients, and this chicken is so tasty and flavorful. The sauce is smashing. 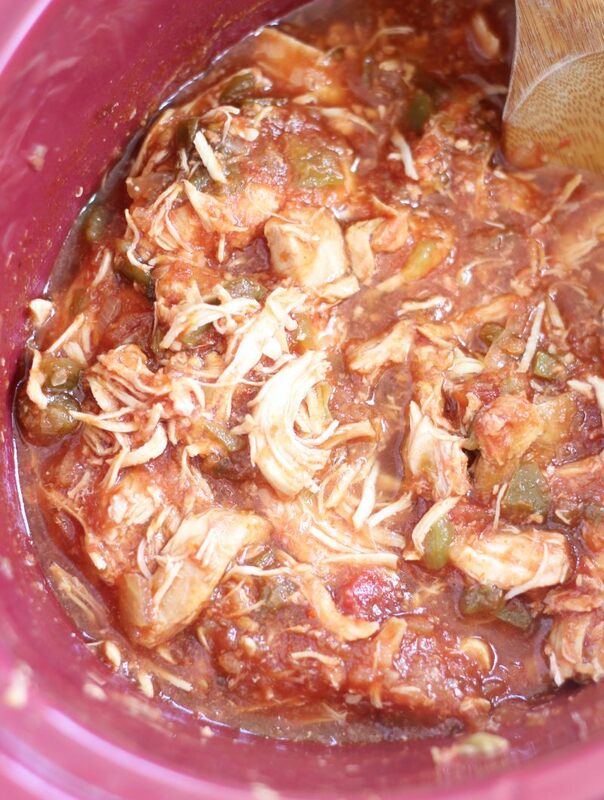 Slow-Cooker Chicken Cacciatore: A classic! Made even easier with a crock-pot. The sauce is gorgeous – not a word I usually use to describe a savory sauce, but it IS gorgeous. 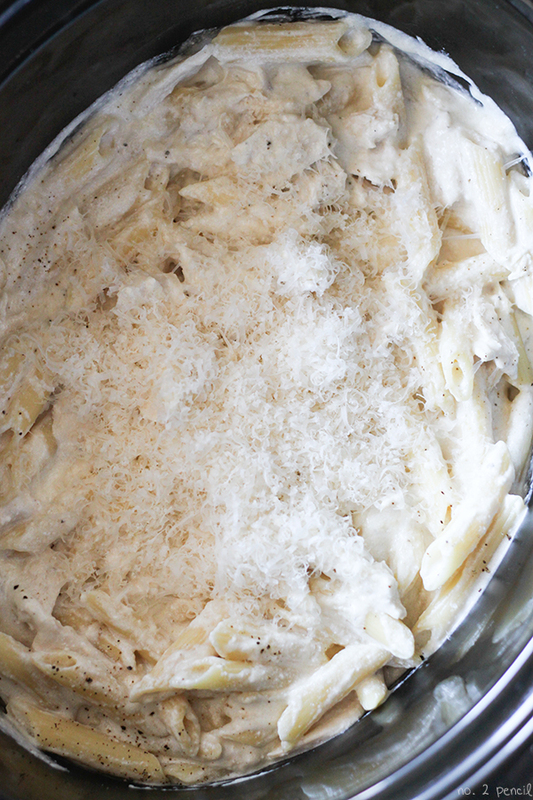 Slow-Cooker Chicken Alfredo: So creamy and gooey. Holy-moly amazing. 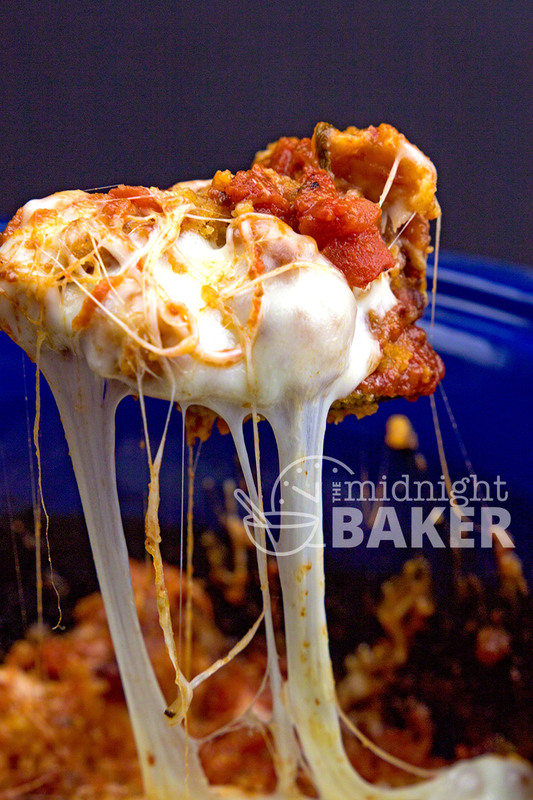 Slow-Cooker Chicken Parmesan: The sauce and cheese are irresistible! 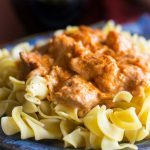 Slow-Cooker Creamy Sun-Dried Tomato Chicken: I hear that sun-dried tomatoes are passe, but I’m still very into them, and I’m VERY into this creamy sauce. 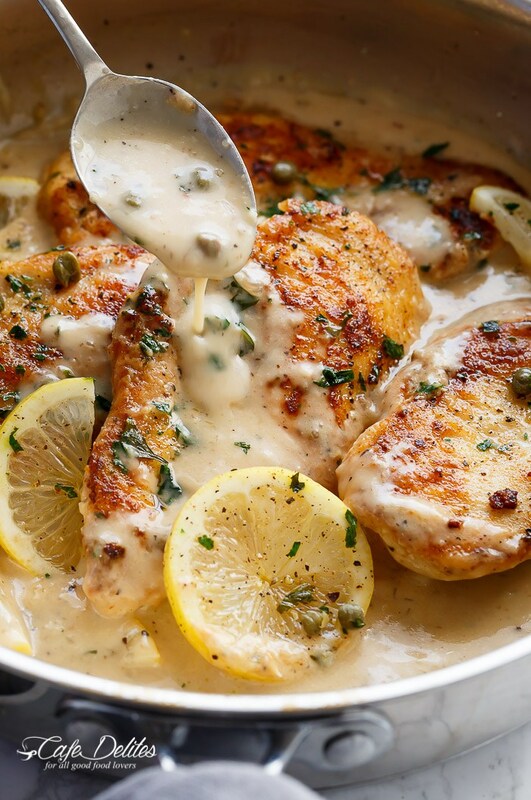 Creamy Lemon Parmesan Chicken Piccata: I love a tangy, citrus-y chicken recipe! 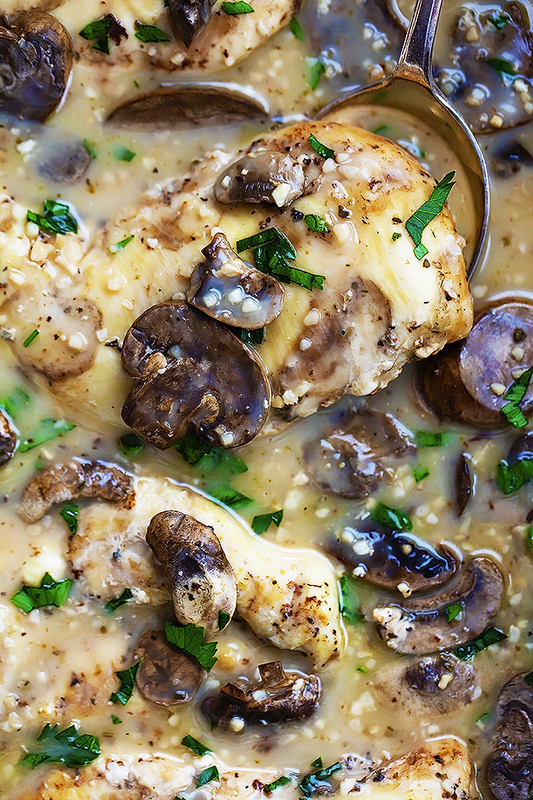 Slow-Cooker Chicken Marsala: Absolutely stunning. 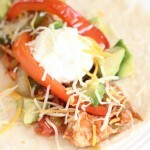 Slow-Cooker Salsa Chicken in these Salsa Chicken Fajitas: A super short ingredient list, and they’re all easy to find. 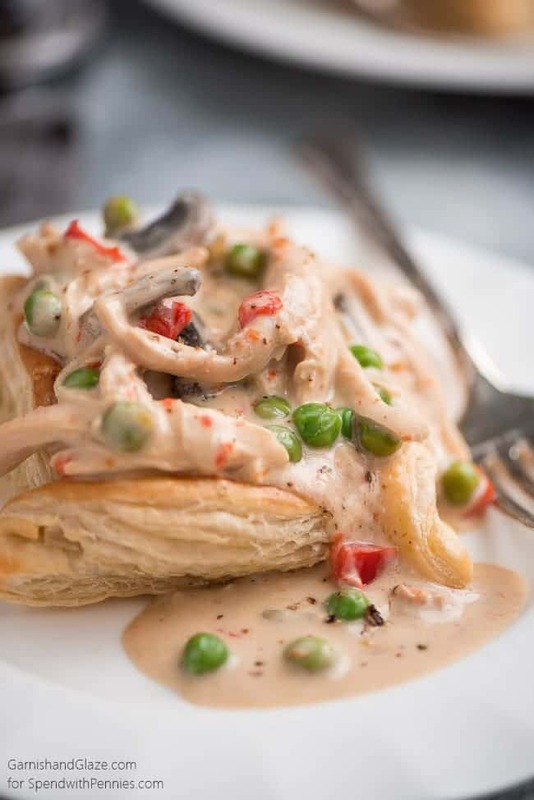 This is one of the simplest recipes in my repertoire, but big on flavor and versatility. 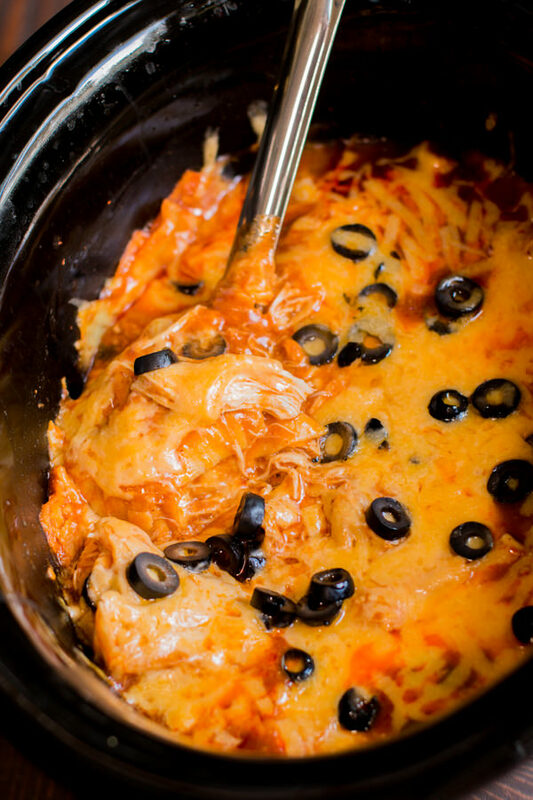 Slow-Cooker Chicken Enchilada Casserole: This one would be fantastic with ground beef or turkey too. 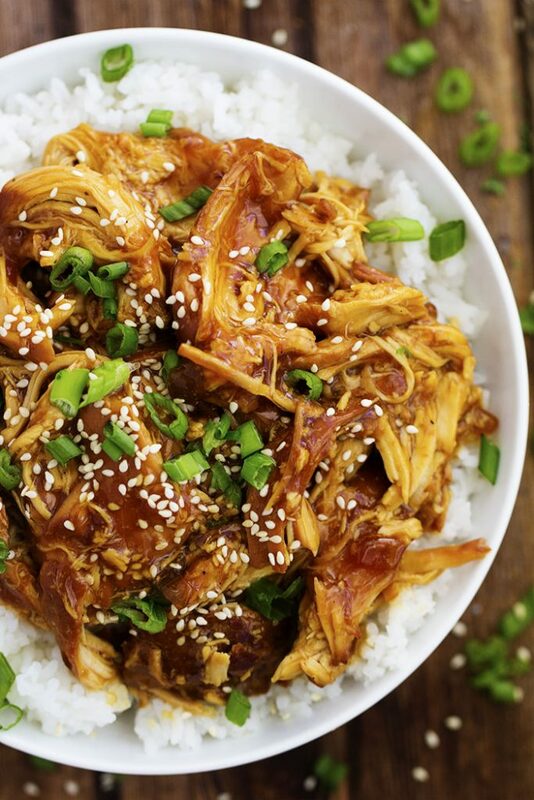 Slow-Cooker Honey Garlic Chicken: The sauce is sweet, but also has a serious kick, and is so rich. Amazing over a bed of rice. 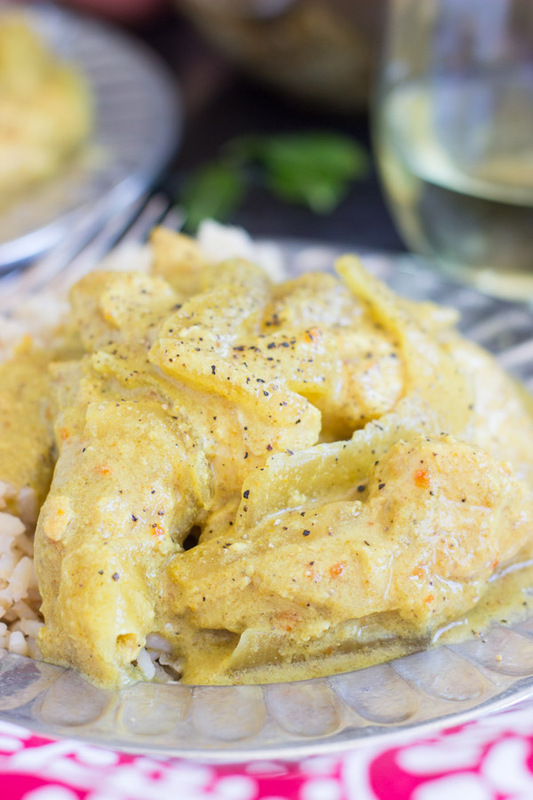 Slow-Cooker Chicken Paprikash: Tender and flavorful chicken with a tangy, creamy, smoky sauce. 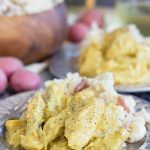 This Slow-Cooker Chicken Paprikash is one of my most popular easy dinner recipes and most popular slow-cooker recipes. My Mom used to make Chicken Paprikash a lot when we were kids, based on a recipe that a friend had given her, and I used to make it the conventional way, but am 100% about using my slow-cooker whenever possible instead. 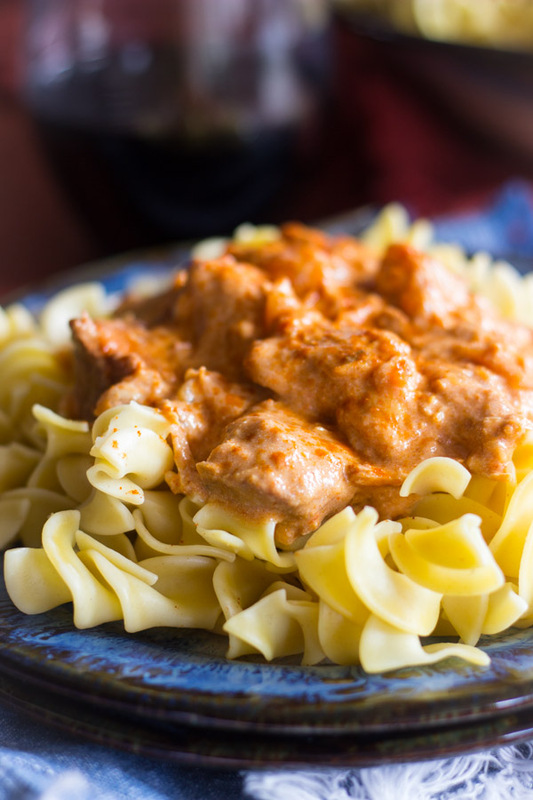 This Slow-Cooker Chicken Paprikash is definitely a go-to. You can also easily adapt it to an Instant Pot recipe. 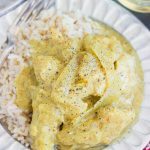 Slow-Cooker Coconut Curry Chicken: I recreated one of our take-out favorites, but this version is made with a slow-cooker so that it’s suuuuper simple. Just dump everything in, and you’re good to go. 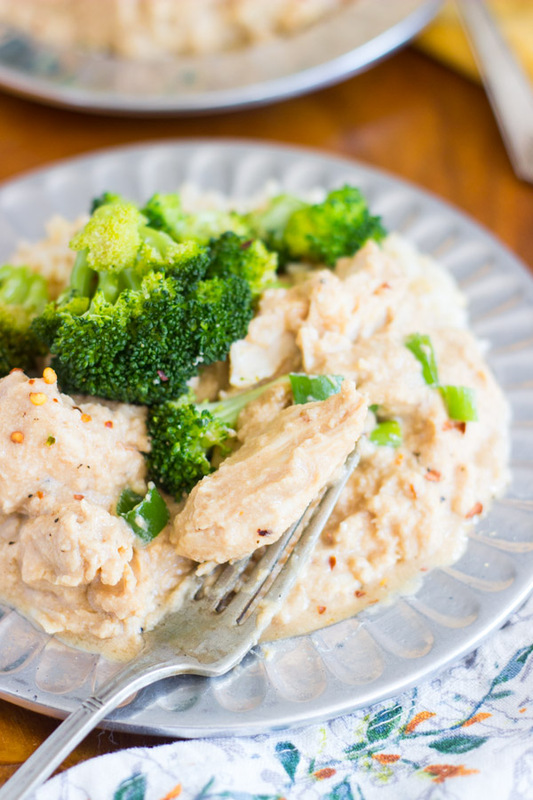 Slow-Cooker Thai Peanut Chicken: Another take-out favorite, but made into a slow-cooker dish. I love to recreate my faves into easy slow-cooker recipes. 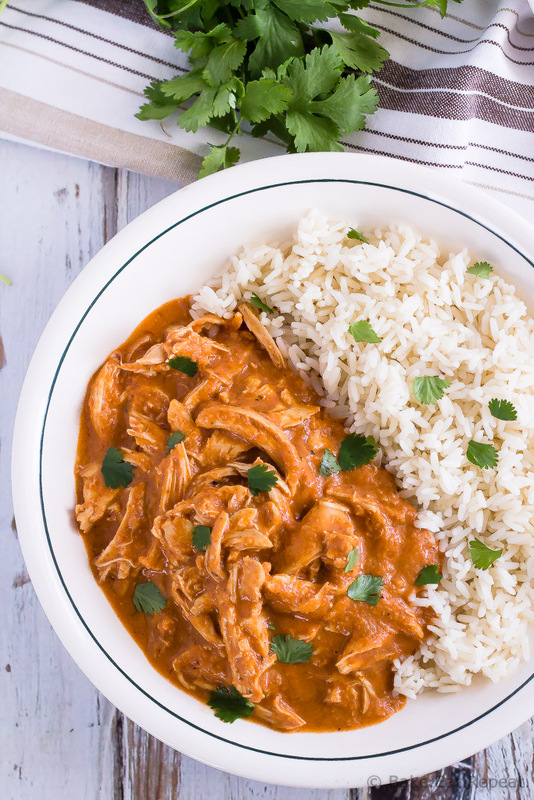 Slow-Cooker Butter Chicken: I haven’t tried this one, but I can’t wait. It looks insane! 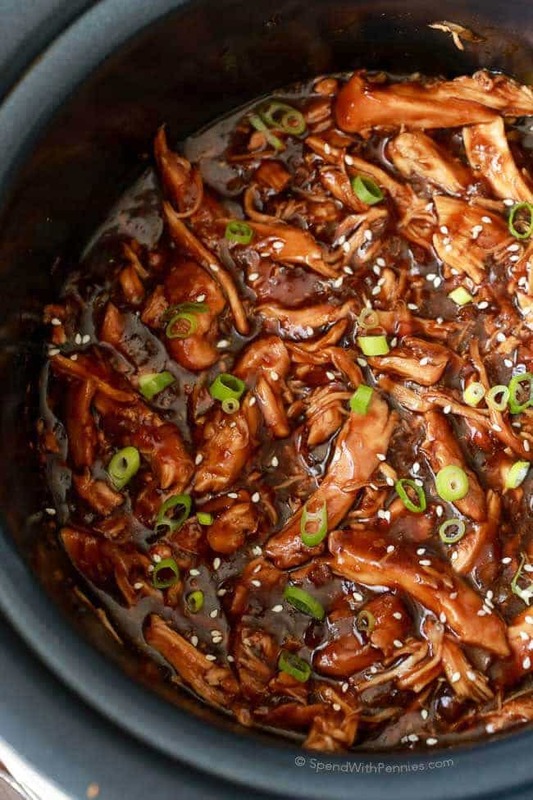 Slow-Cooker Chinese Bourbon Chicken: How tempting is this??? 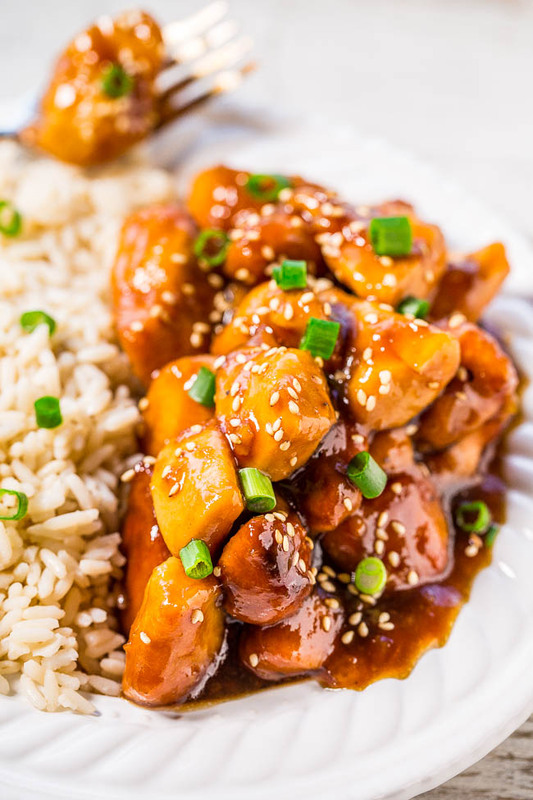 Slow-Cooker Orange Chicken: Sweet, sticky, citrusy sauce with tender bites of juicy chicken. Perfection. 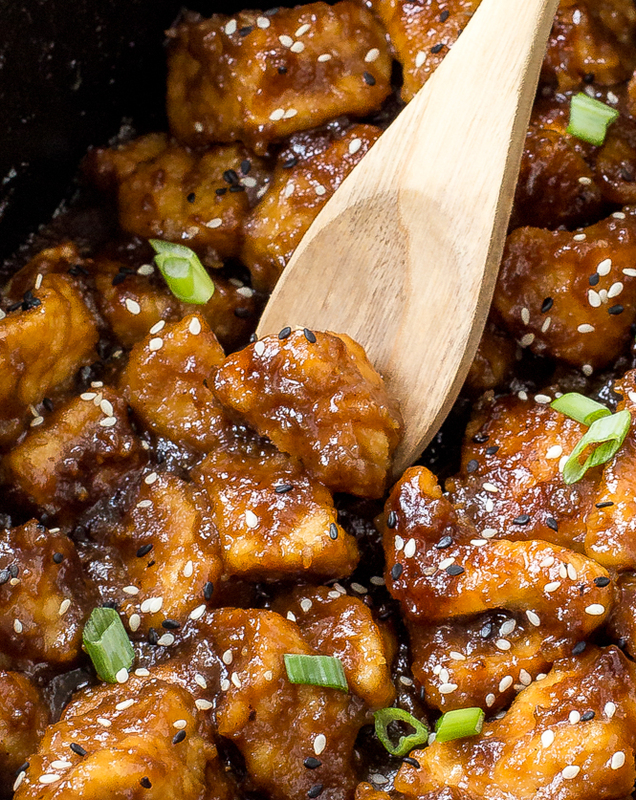 Slow-Cooker General Tso’s Chicken: Simple take-out at home! 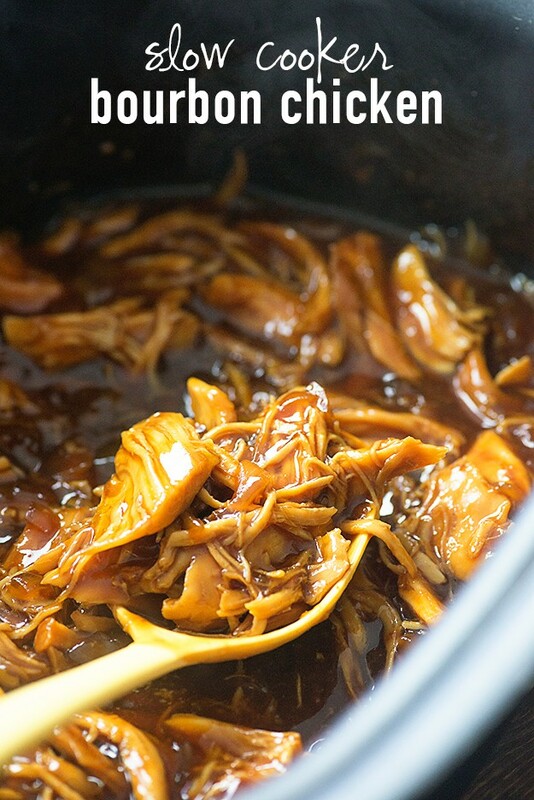 Slow-Cooker Honey Teriyaki Chicken: The sauce itself is divine, and I also love the sesame seeds for a touch of crunch! 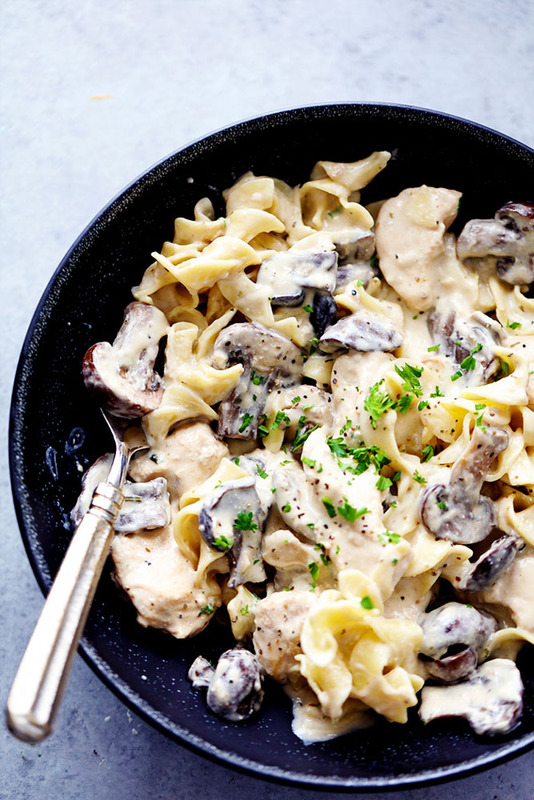 Slow-Cooker Chicken Mushroom Stroganoff: I will never turn down chicken with a creamy mushroom sauce. One of my fave ways to eat chicken! 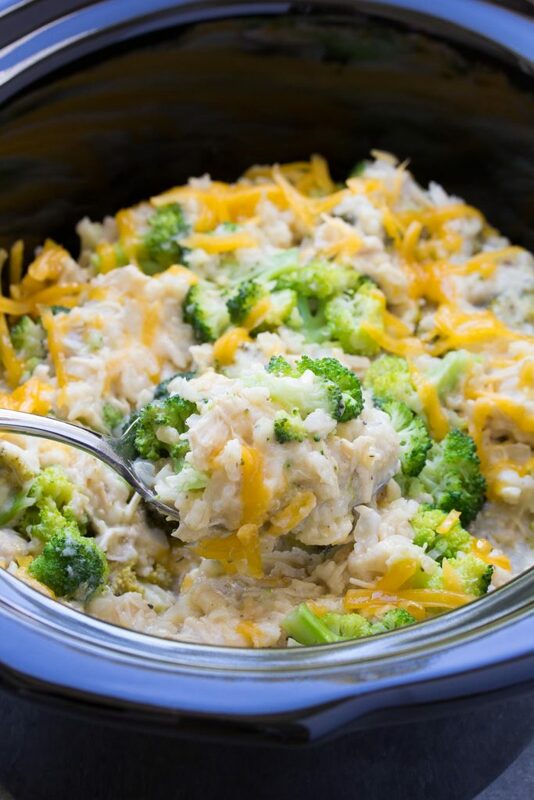 Slow-Cooker Chicken, Broccoli, and Rice Casserole: Classic comfort food – I have multiple casseroles like this, but finally a slow-cooker version. This is even easier. 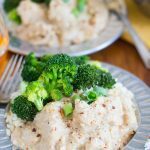 Slow-Cooker Chicken a la King: I have not made Chicken a la King in a LONG time, and this recipe is the perfect way to revisit it. Crock-Pot Chicken & Corn Chowder: A favorite soup recipe of mine for decades, and now I can throw it together in the crock-pot, easy-peasy. 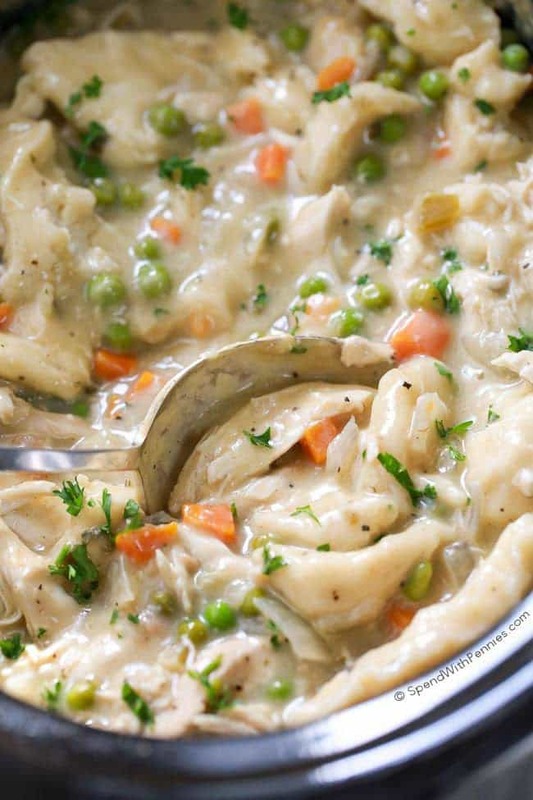 Crock-Pot Chicken & Dumplings: Perfect comfort food. 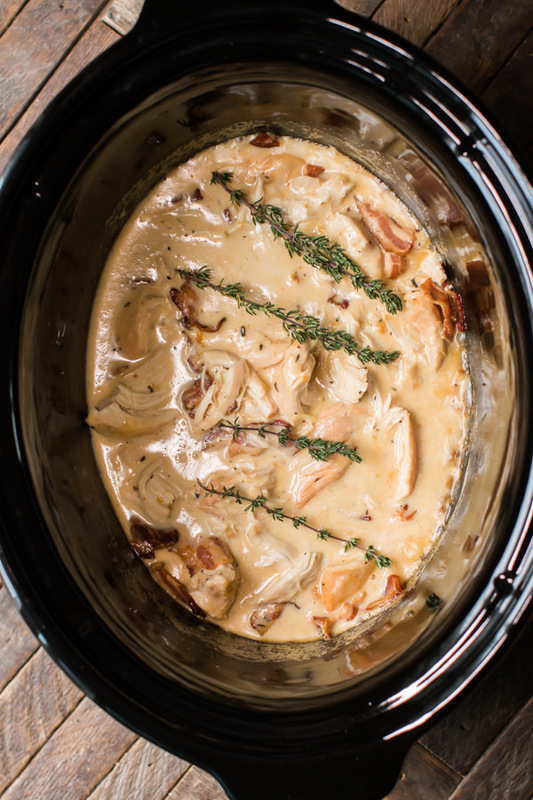 Slow-Cooker Chicken with Bacon Gravy: Bacon gravy… need I say more? 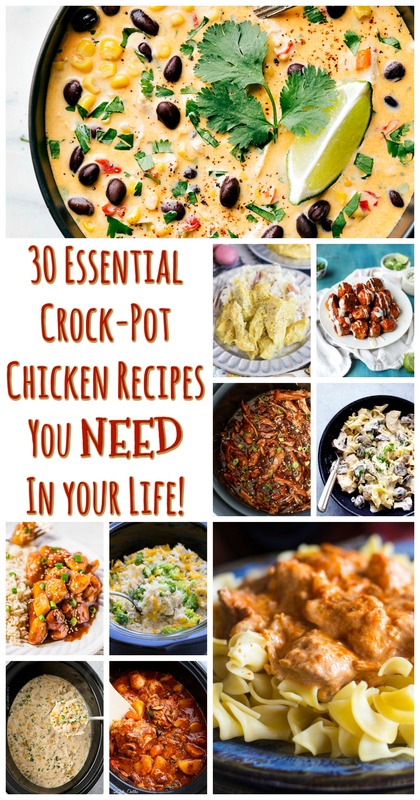 I hope you love this collection of the Best Crock-Pot Chicken Recipes! There’s something for everyone here, and you’ll positively find something you love. If you try something, please let me know what you think! Adding that Honey Mustard Chicken to my meal plan this week. Sounds delicious!! 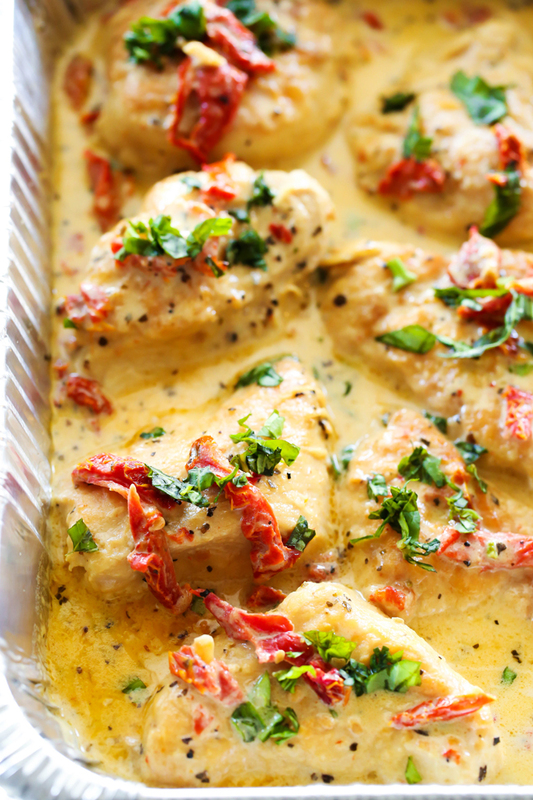 For as many simple dinner recipes as you have, you MUST have a honey mustard chicken or two! Haha. I want to make EVERYTHING you share! !